Still in his yachting shoes and light coat, Harold embarks on his urgent quest across the countryside. Along the way he meets one fascinating character after another, each of whom unlocks his long-dormant spirit and sense of promise. Memories of his first dance with Maureen, his wedding day, his joy in fatherhood, come rushing back to him--allowing him to also reconcile the losses and the regrets. As for Maureen, she finds herself missing Harold for the first time in years. 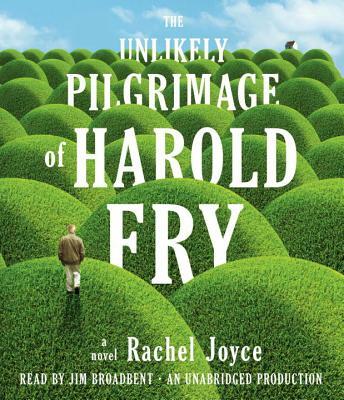 A novel of unsentimental charm, humor, and profound insight into the thoughts and feelings we all bury deep within our hearts, The Unlikely Pilgrimage of Harold Fry introduces Rachel Joyce as a wise--and utterly irresistible--storyteller. The author, Rachel Joyce, has written over twenty original afternoon plays for BBC Radio 4, and has created major adaptations for the Classic series and Woman's Hour, as well as a TV drama adaptation for BBC2. In 2007 she won the Tinniswood Award for Best Radio Play. Joyce moved to writing after a twenty-year career in theatre and television, performing leading roles for the RSC, the Royal National Theatre, The Royal Court and Cheek by Jowl; and winning a Time Out Best Actress Award and the Sony Silver. She currently lives in Gloucestershire with her family and is at work on her second novel.